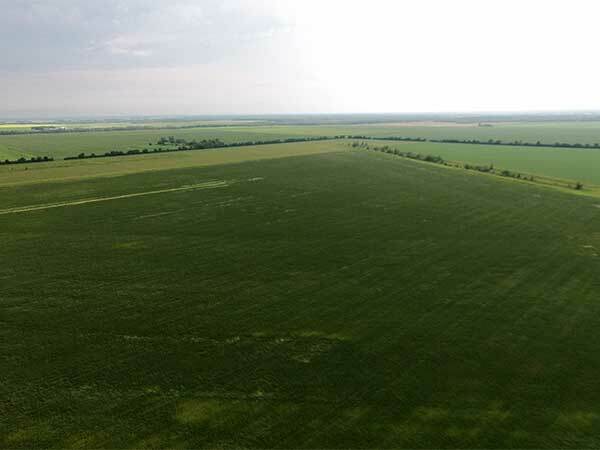 This site southeast of Carberry, in the Municipality of North Cypress-Langford, was used for training of pilots during the Commonwealth Air Training Plan of the Second World War. 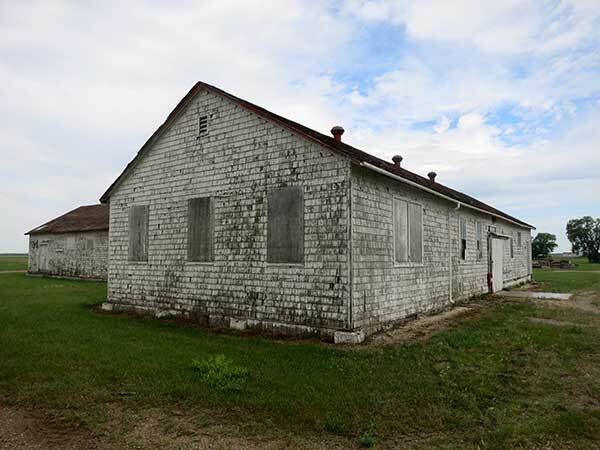 Unlike facilities that were formed as part of the Royal Canadian Air Force, this facility began as part the Royal Air Force, organized at Winslow, England in November 1940 and transferred to Canada later that month. 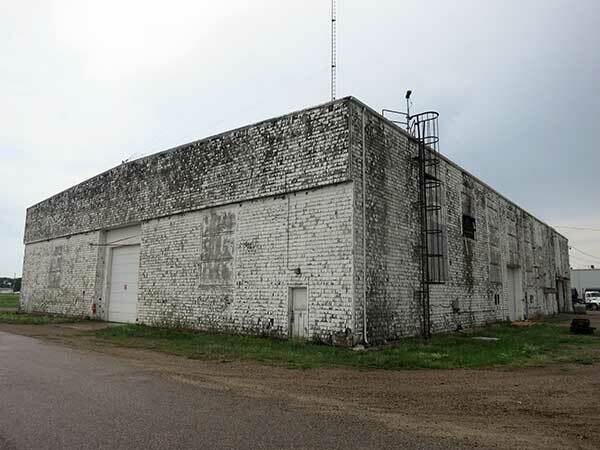 The school consisted of administrative, instructional, and dormitory buildings, and several large aircraft hangars, constructed at a cost of $850,000 by the Winnipeg firm of Carter-Halls-Aldinger. 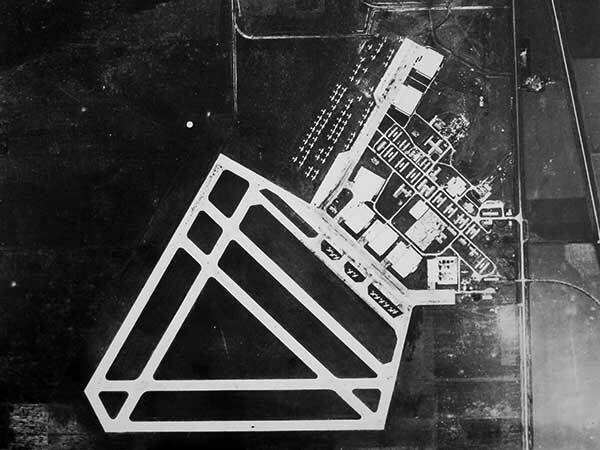 Six paved runways were supplemented by two relief fields, No. 1 at Petrel and No. 2 at Oberon, where aircraft could be diverted if they could not land at the main field. The first group of British personnel arrived at Winnipeg in December 1940 and immediately moved on to Carberry. Construction of the site had preceded arrival of military personnel but it was not fully operational until early 1941. The first cohort of trainees arrived in January 1941 before training aircraft were available. By April 1943, the school had 100 Harvard and Anson training aircraft, and over 200 students, with a support staff of 95 officers, 984 other ranks, and 65 civilians. Among those who trained at the facility was actor Richard Burton (1925-1984), who later found fame in Hollywood. The final training class graduated in November 1944 and the facility was gradually closed. After the war, the site was used as a storage park for military vehicles. It later came under the control of a community development corporation, which sold it in May 1961 to an American firm for establishment of a potato-processing plant. Canadians and Americans killed while training at the Service Flying Training School No. 33 where returned to their home communities for burial. Australian, New Zealand, and British fatalities were buried in the military cemetery at Brandon. “Manitoba Air Training jobs cost $1,730,000,” Winnipeg Tribune, 8 August 1940, page 13. “Air contracts now total $11,000,000,” Winnipeg Free Press, 27 August 1940, page 1. “Three air schools cost $1,280,000,” Winnipeg Free Press, 28 August 1940, page 3. “Big contract for Carberry,” Winnipeg Tribune, 7 October 1940, page 2. “Seven hundred British fliers now in Carberry,” Brandon Sun, 9 December 1940, page 18. “Men of R.A.F. taking wing - on ice,” Winnipeg Tribune, 10 December 1940, page 1. “Off to Carberry,” Winnipeg Tribune, 10 December 1940, page 5. “No limits on Carberry hospitality to its 700 Royal Air Force guests,” Winnipeg Tribune, 12 December 1940, page 26. “A gift with imagination,” Winnipeg Tribune, 27 January 1941, page 6. “Reunion in Winnipeg,” Winnipeg Tribune, 5 February 1941, page 11. “Student pilot dies after training crash,” Winnipeg Tribune, 5 April 1941. “Teachers’ meet,” Winnipeg Tribune, 20 May 1941, page 13. “Youth and courage combined,” Winnipeg Tribune, 4 November 1941, page 1. “King gives special badge to Carberry Air School,” Winnipeg Tribune, 5 January 1942, page 11. “Cox posted to Picton,” Winnipeg Tribune, 21 March 1942, page 3. 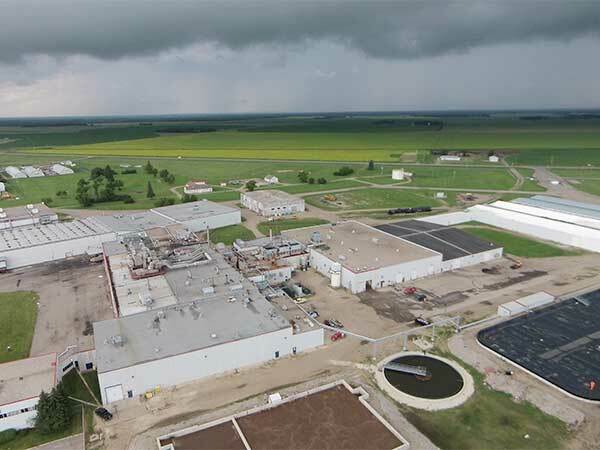 We thank McCain Foods (Carberry) and Nathan Kramer for providing additional information used here.